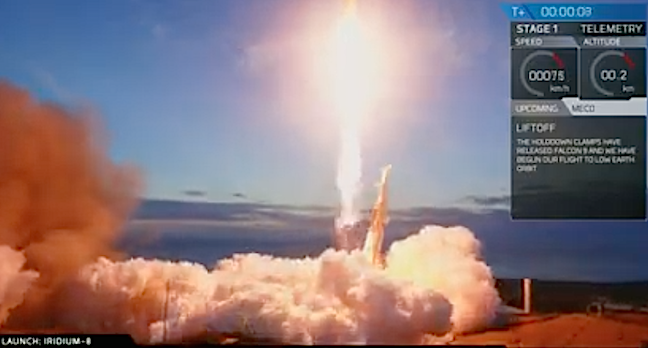 It's a liftoff, and the Iridium-8 mission is on its way courtesy of the Falcon 9 rocket with the goal for delivery of 10 satellites to Low Earth Orbit. 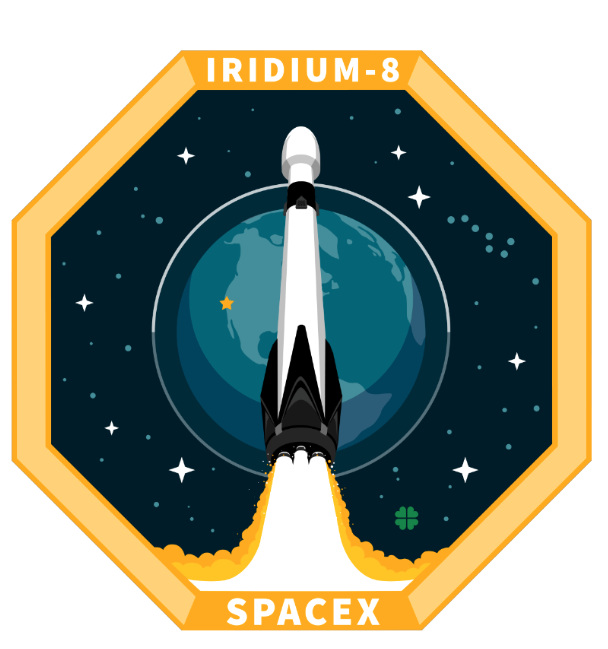 This is the eighth, and final, set of 10 satellites in a series of 75 total satellites that SpaceX launched for Iridium’s next generation global satellite constellation, Iridium® NEXT. 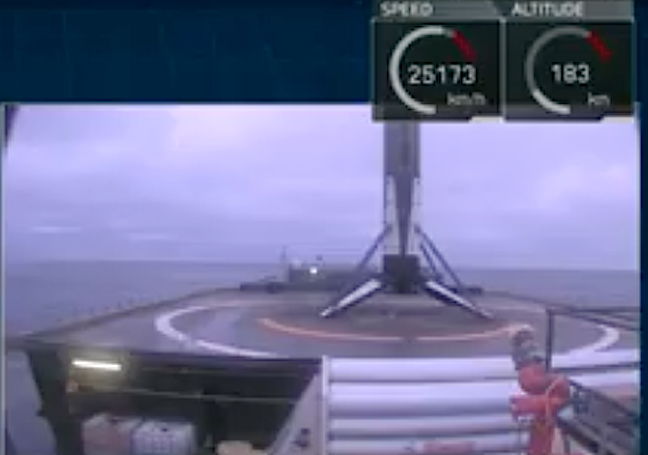 Separation has been confirmed at this early exercise, as well as the Falcon 9 successful touchdown on the “Just Read the Instructions” droneship stationed in the Pacific Ocean. 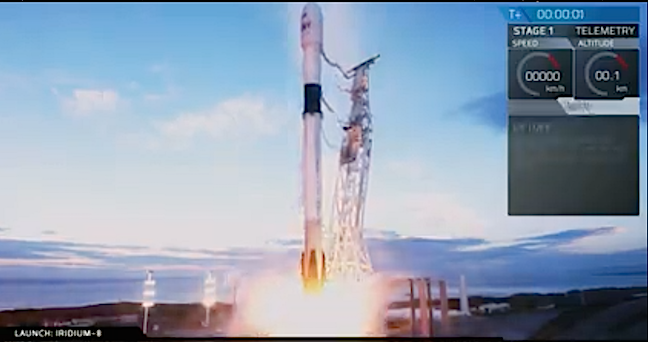 To mark the cooperative effort of the companies Matthew Desch, CEO and Director of Iridium gave the last 10 second countdown to liftoff. For this eighth and final planned Iridium mission, 10 Iridium® NEXT satellites will be launched as part of the company’s campaign to replace the world's largest commercial communication satellite network. Including the seven previous launches, all with SpaceX, Iridium is deploying 75 new satellites to orbit. In total, 81 satellites are being built, with 66 in the operational constellation, nine serving as on-orbit spares and six as ground spares. Iridium is the only satellite communications network that spans the entire globe, and Iridium NEXT is one of the largest "tech upgrades" in space history. The process of replacing the satellites one by one in a constellation of this size and scale has never been completed before. 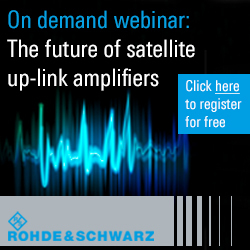 The new constellation is enabling innovative new products and services including Iridium CertusSM, the company’s next-generation L-band broadband solution for specialized applications, like safety services, remote monitoring, UAV and UAS command and control, tracking, and more. It also hosts the AireonSM system, which will for the first time bring real-time, truly global aircraft surveillance and tracking to fruition. SLC-4E consists of a concrete launch pad/apron and a flame exhaust duct. Surrounding the pad are RP- 1 and liquid oxygen storage tanks and an integration hangar. Before launch, Falcon 9’s stages, fairing and the mission payload are housed inside the hangar. A crane/lift system moved Falcon 9 into a transporter erector system and the fairing and its payload were mated to the rocket. The vehicle rolled from the hangar to the launch pad shortly before launch to minimize exposure to the elements.